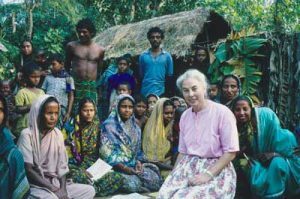 Feed the Minds was the ecumenical arm of the British and Irish churches that for nearly forty years supported literacy and literature work all over the developing world. I was head-hunted for the post of Director in the early 1990s (see article from Surrey Advertiser), and over the next nine years, as well as running the organisation in Britain and Ireland, I travelled abroad extensively, assessing, advising, befriending and offering support to hundreds of indigenous organisations that through literacy, literature and other communications media were serving the needs of their people. 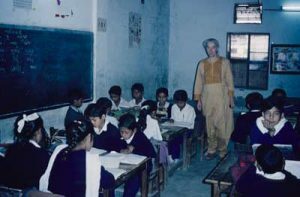 During those years, by dint of sheer hard work and enthusiasm for the cause, I was fortunate to be able to double the income and therefore also the grants that Feed the Minds gave. The work involved visiting many countries all over the developing world. 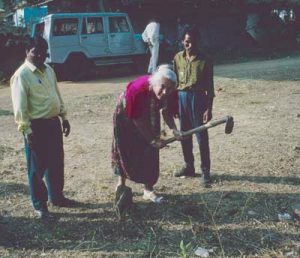 The work was fascinating, and included large and small literacy projects, particularly for women or for the poorest of the poor; libraries and reading rooms; theological colleges and lay training schemes; radio stations; newspapers and journals; and libraries. 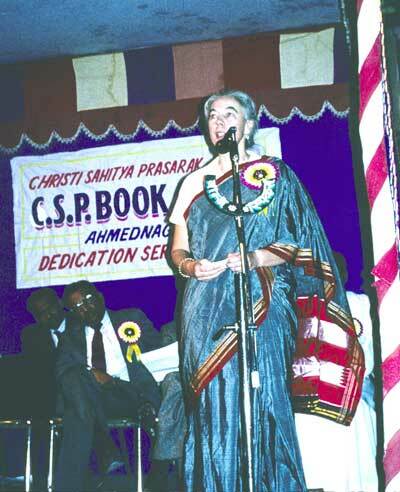 I found myself regularly laying foundation stones, assessing the number of books in libraries, winding through paddy fields to remote villages, giving prizes at graduations and meeting wonderful people in some of the worst slums of the world. A couple of years after I left, Feed the Minds was taken over by another organisation. Being Director of Feed the Minds brought with it the additional appointment of being General Secretary of USCL. This organisation had a longer history that FTM, having started in the eighteenth century as the Religious Tract Society. Changing its name and identity a number of times over the next two hundred years, it continued to produce and disseminate Christian literature of various kinds. As well as supporting Feed the Minds, USCL published books, including theology books; supported theological education; and was well-known for its Boys’ Own and Girls’ Own magazines and annuals. For historical reasons it owned property in Zambia, which I had to visit a number of times. While I was General Secretary I organised the celebrations for USCL’s bicentenary. As the Queen Mother was the Patron of USCL, I was able to enjoy a number of Buckingham Palace Garden Parties, as well as attending the Queen Mother’s one hundredth birthday celebrations and other royal events. It was a particular pleasure to be able to take a variety of guests to the royal garden parties, particularly the volunteers who so generously gave their time and energy to help with the work in a busy office. 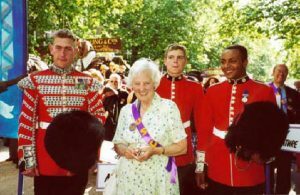 Alwyn Sherratt, one of the volunteers at FTM and USCL, taking part in the celebrations for the Queen Mother’s 100th birthday celebrations in London in 2000.